Thread: Happy Hanukkah From BlackBerryOS! As the final ends of the Earth hit sundown today, we at BBOS would like to wish to all those who observe a very happy Hanukkah! Hanukkah (Hebrew: חֲנֻכָּה, usually spelled חנוכה in Modern Hebrew, also romanized as Chanukah or Chanuka), also known as the Festival of Lights, is an eight-day Jewish holiday commemorating the rededication of the Holy Temple (the Second Temple) in Jerusalem at the time of the Maccabean Revolt of the 2nd century BCE. 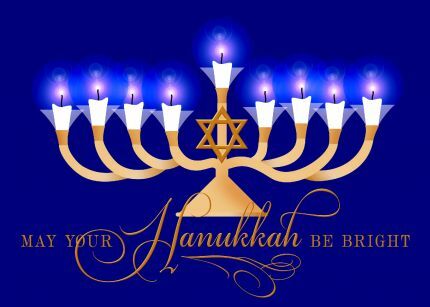 Hanukkah is observed for eight nights and days, starting on the 25th day of Kislev according to the Hebrew calendar. So get out the Manorah and commence the lighting of the first candle! And if you are looking for some Hanukkah bling for your BB see here and here for a few premium Hanukkah themes.